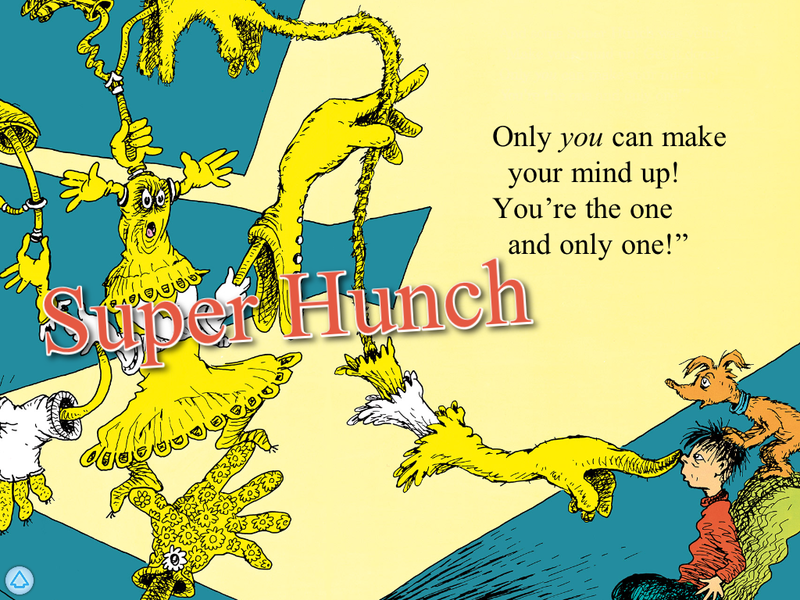 Oceanhouse Media has just published another Dr. Seuss omBook, Hunches In Bunches, which always delights my daughter when she hears that a new Dr. Seuss is on her iPad! It is a great story about a boy who just doesn’t know how to make up his mind as different hunches pull him in different directions! Of course, it contains all of the original, clever, whacky and imaginative details of Dr. Seuss! Besides reading the story, her favorite thing to do is touch the pictures to hear (and see) the word(s) of what the pictures are. In Hunches In Bunches, she loved tapping each of the names of the different Hunches. 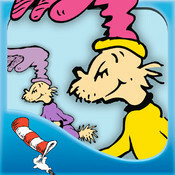 Just like Oceanhouse Media’s other omBooks, the interactive pages, great narration, highlighted words, and sound effects make Hunches in Bunches- Dr. Seuss another fun book to add to your digital collection! The strength of this book is to make reality tangible and to address ways to deal with it. The book’s key point is that one must consider all the perspectives available to them, compare those options, and then pick one to pursue. when you don’t know what to do…? Just like Oceanhouse Media’s other omBooks, you have the options to “Read to Me” (reader turns the pages, sees the words highlighted as they are read by a professional narrator) “Read it Myself,” (like a book where you turn the pages and read on your own with sound effects in the background,) or “Auto Play” (like a movie especially good for the younger audience.) And Oceanhouse Media has even added the special feature “Record your own voice” to their omBooks, as another option to listening to the omBooks with the great narrator. After much arguing and “barg-uing” and shoving and yelling, a decision is made and our hero follows a Munch Hunch to lunch. The nonsense and cleverly crafted message in Hunches in Bunches is right up to par with Dr. Seuss’s many other classic picture books. It’s easy to become overwhelmed by advice when you have a mind–but can’t make it up. Sometimes the best plan is to trust your own hunches, and disregard the vocal bunch of Hunches clamoring for attention. This makes a great gift for well-meaning flakes and ditherers of all ages.